Creating a milestone moment in the evolution of podcasting, Pandora today launches its anticipated podcast offering, powered by the Podcast Genome Project. The launch puts in play a key strategic element as described in recent earnings calls. 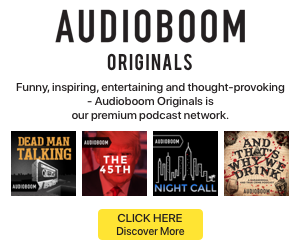 The Podcast Genome is composed of human-guided algorithms that analyze podcasts and make personalized recommendations, much as the Music Genome (Pandora’s core and founding technology) does for music tracks. The golden ideal for both is a great listening experience customized to each user’s taste, and follow-through discovery of content and creators. 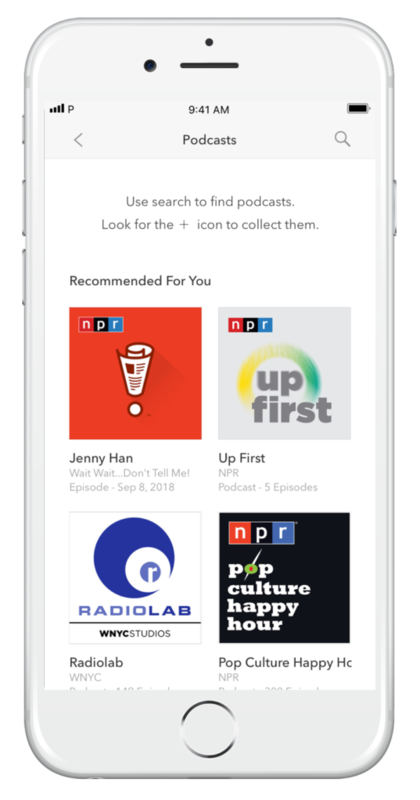 “We believe that solving the discovery issue will get more people into podcasting with a much better experience,” said Chris Phillips, Pandora’s Chief Product Officer told RAIN News in a pre-launch conversation. In assessing Pandora’s entry into podcast listening in parity with music, it is important to remember that “discovery” is mainly used in a broad sense of discovering podcasting as a whole. “Eighty-three percent of Americans aren’t yet listening to podcasts on a weekly basis, and a majority of them report that’s because they simply don’t know where to start,” observed Roger Lynch, Pandora’s CEO, citing an Edison Research/Triton Digital metric from The Infinite Dial 2018. As such, Pandora is not functioning as an open platform for submission (yet — Chris Phillips said told us “Ultimately we think that’s a possibility”) or an all-inclusive podcatcher like Google Podcasts or the iOS Podcasts app. 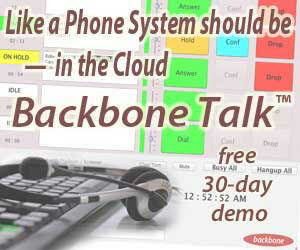 Those platforms work well for people clued into podcasts who have chosen how to listen. 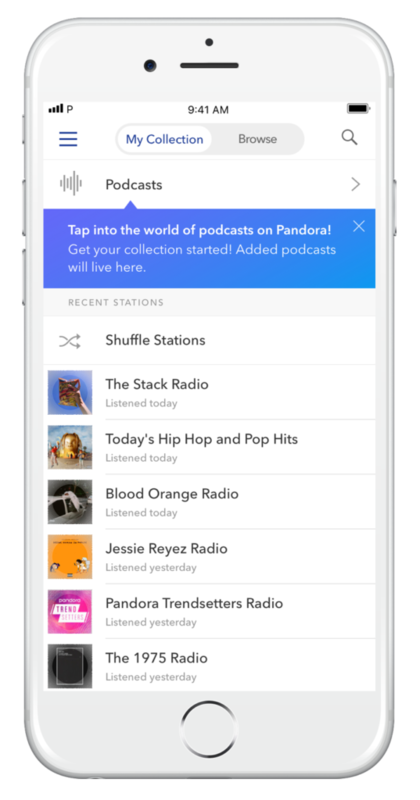 Pandora is happy to serve the already enlightened, of course, but the main thrust is to get new people listening with an easy path to broad discovery that contains some of the world’s largest podcast publishers. That said, it is worth noting that major publishers are absent from launch: iHeartRadio/HowStuffWorks (the combined entity will probably land as #3 on Podtrac’s TOP 10 PODCAST PUBLISHERS chart next month), ESPN, PodcastOne, and Stitcher, to name a few obvious gaps. Partner discussions are proceeding, Chris Phillips told us, and we can reasonably expect future announcements. For now, a broad array of programming is sufficient grist for the Podcast Genome recommendation engine, and certainly enough shows to bring new listeners into the category. We asked Chris Phillips how the Podcast Genome works, the human/machine balance, and how it compares to the Music Genome. the heavy lifting is done algorithmically, Phillips told us, while the human staff is concerned with quality assurance and continual refinement of the machine work. (There is a similar balance on the Music Genome side.) One role for the humans is identifying and establishing topical attributes that exist in podcasts — “cooking pastries with kids” is an example Phillips offered. A big part of the equation is automated audio-to-text transcription, which renders a podcast episode into a searchable mass of keywords and key concepts. That leads to an episode-by-episode emphasis in the Genome’s analysis and recommendations. In other words, the Genome is not trying to get users attached to podcast shows, as much as to surface episodes across many shows that the listener will enjoy. “We are focused on episodic discovery,” Chris Phillips told us. That said, there is a “Collect” feature that can be applied to an episode or a show. At launch, there is no downloading for offline listening. The Pandora podcast offering is a streaming service. Since its inception as a public listening platform, Pandora’s key user proposition has been to delight with a perfectly selected piece of audio. The point of the Music Genome is to understand music from the inside out, better to match songs with a constantly evolving knowledge of the individual listener. The same mandate is in play with the Podcast Genome, with the additional task of getting people interested in spoken-word content to start. People who are aware of podcasts but have never listened, research shows, have been thwarted by not knowing how to start. Pandora’s approximately 70-million active users already have a starting place, and the company is betting that it can solve the discovery problem.